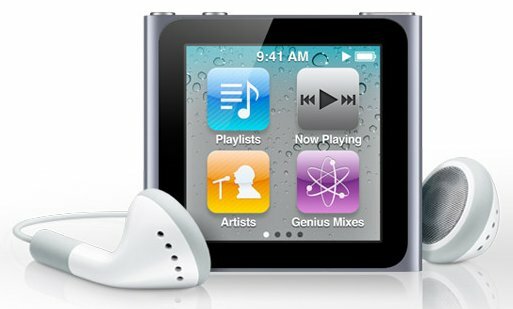 My sons find it amusing that my iPod Nano has no music but around 500 podcasts, many from In Our Time on Philosophy, History, Religion and Science. Why? Because I travel a lot and like to keep myself stimulated on trains, planes and in other non-places. Like reading, I find the focus on one medium useful, especially for knowledge and reason. So here’s some reflections on my audio experience. Paul Maharg has developed some superb online, simulation tools for lawyers but one thing in his toolset did catch my eye. He has a ‘fastalk’ button for listening to audio/video faster than normal speed. This may sound trivial but it’s not. My iPod Nano also has a x2 button that allows you to listen at twice natural speed. As we read at about twice the speed we speak, this means that I can listen at reading speed. In terms of productivity, I HALVE talking time. Let’s apply that rule to lectures. If I listened to recorded lectures at twice the speed, I’d be doubling my productivity. Alternatively, I could listen to the lecture twice in the same time, which will dramatically increase retention through reinforcement. Either way there’s an enormous boost in productivity. Note that one study saw no significant difference in retention at double and even triple speed. Indeed, listening skills seemed to improve. The ‘replay last thirty seconds’ button is also a godsend. If you miss a word, phrase, number or simply want to hear the point again, it’s easy. How often do students ask real lecturers to repeat something they hadn’t caught or understood? This instant review button is made for learning (quite aprat from pause, return to point from which you left, rewind and fast forward). I also take notes when listening to these podcasts. With just earphones and an iPod, my arms are free. It allows me to focus on the screen while I type or page when I write. If I’m looking at a lecturer this, as anyone who has tried to take notes in a live lecture knows, is difficult. And as we know that good note taking increases retention by 20-30%, there’s another productivity boost. Indeed, I find that the spare cognitive capacity, created by not having a live lecturer, allows me to write notes well, and in my own words, which is even more useful. So is there any real reason to video the lecturer? I think not. Khan stays out of his videos as does Thrun in his Stanford content. They both state that this is a deliberate move and I’m glad. I don’t need to see their face to understand what they’re saying. For knowledge and reason that is primarily semantic, I find the purity of audio, like text in reading, ideal. Images and video are, if anything, a distraction. In terms of retention this type of knowledge is stored in semantic, not episodic, memory. That’s not to say that imagery doesn’t help in elaboration. However, the best form of elaboration for this type of knowledge is that produced by the imagination. When it comes to semantic memory, and knowledge of this type, freeing my working memory from ‘looking’ at a lecturer, also allows my imagination to kick in. This brings my own existing knowledge and thoughts to the act of learning, which I have no doubt increases elaboration and therefore retention and recall. Audio is, of course, cheap and easy to record. Unlike video, you don’t have to worry about lighting and movement. Video files are many times larger than audio files, therefore easier and cheaper to store and distribute, especially on mobile media. Just kick that stuff out through iTunes and you’re up and running. Given the ease of production and distribution, it’s an ideal form of mobile learning. All you need is a mobile or iPod and earphones. My Nano is literally as small as a watch (indeed it can be worn as a watch), weighs just a few ounces and can be attached to my lapel. So audio can double productivity at double speed (or listen to twice) compared to actual lectures, can be reviewed, allows productive and meaningful note taking, eliminates visual distraction, stimulates the internal imagination and therefore retention, is easy to record, easy to distribute and perfect for mobile learning. That’s before we even get to the 24/7 access. On productivity, my claim that this approach 'doubles' productivity applies to the mathematically certain fact that you save half the time. That doesn't mean you've been twice as productive in retention. Here, however, the fact that you can take notes gives an evidence-based boost of 20-30%. That combined with the use of your imagination to elaborate the learning and listening to it twice, boosts retention even further, as does the absence of visual distraction. The claim of 100% increase in retention, is therefore, approximate but credible. I don’t often agree with current Government policy on education but on this one they’re heading in the right direction. I’d go a lot further. There’s many reasons for closing down hundreds of these PGCE courses. Some courses have as few as 10 students. To be precise there are currently 330 courses with 10 or fewer students. This makes them madly expensive to staff and resource. Even worse, these courses are often in close proximity to each other. Demographically we need less teachers as pupil numbers are falling. There’s simply not enough jobs to go round. The drift towards ‘University-led’ courses had loaded these courses up with irrelevant theory that has no real bearing on the practice of teaching. A good example is Abraham Maslow, a staple in teacher training, yet of no use to anyone in terms of what they’re actually asked to do in schools. To deliver teacher training through lectures is pedagogically pathetic. Good practice is not taught through bad practice. It’s like teaching medicine using blood letting. The only defense UCET (Universities Council for the Education of Teachers) and other trade associations like NATE (National Association for the Teaching of English) have come up with is the loss of expertise and research. For me this loss is a plus. There’s far too much third rate research in education. Teacher training almost completely ignores the radical shifts in technology and pedagogy, producing teachers who are ill-equipped to deal with technology in learning. These courses lock young teachers into fossilised theory and practice. There’s no better place to assess teachers than in real schools where they really are judged on performance. Far too many teachers have gone through training in the past only to find themselves unsuited to teaching in practice. The drop-out rates are unacceptably high. The Graduate Teaching Programme and other fastrack programmes have clearly proven their worth. It’s time to recognise that this is a vocational qualification that could do with a lot less theory and more practice. Professor Alison Wolf – a wolf in wolf’s clothing! I gave a talk to over 200 experts in vocational education this week and got a round of applause a few minutes in because I had a go at Professor Alison Wolf, Gove’s lapdog, for devaluing 3100 vocational courses in schools culling them to only 70 accepted courses. How could the person responsible for a recent report that called for parity between academic and vocational learning be responsible for this unprecedented attack on the very thing she said she supported? It’s simple, she’s a hired idealogue, hand-picked by Gove to further his attack on state education. Gove’s a politician who acts on whim, Wolf has a long track record in right-wing stances on education. Even hard-nosed, free-market CEOs were astonished at the stupidity of the move. Rather than readjust the parity between GCSEs and these qualifications, which would have been easy, he attacked and destroyed the very credibility of vocational education in schools, creating an imbalance that will take decades to reverse. They took a scythe to qualifications that people have worked for years to develop, in particular the Diploma in Engineering, developed with serious employers such as Siemens, Boeing, Toyota, Rolls Royce, Sony and JCB - so much for employer recognition. What the Wolves and Goves don’t really understand is the degree to which young people are often reignited in education by doing something they see as relevant. More than this, many go on to become entrepreneurs, as they start their own businesses. The Wolves and Goves have no real understanding of entrepreneurship. In a time of riots, financial crises, recession, soaring unemployment, especially among the young and suspicion about the cost and relevance of Higher Education, surely we could have held the Wolf from the door by protecting our progress on vocational education? How do you think the young people doing these qualifications feel when they hear people on television and in the press describe their qualifications as “Micky Mouse” or “dead-end” qualifications. It’s shameful. Professor Wolf is, of course, an ideologue. What’s more the she-Wolf gave birth to another she-Wolf, who is even more of an ideologue – Rachel Wolf. Rachel has no academic background in education, had barely finished as an advisor, first to Boris Johnson then Michael Gove, when at the tender age of 25, she suddenly received from Gove, a cool half million of funding. This was for a charity she had started just a year earlier, called the New Schools Network, advising on ‘free-schools’. There was, of course, no tender - clearly an inside job. Let’s be clear here - this was a lobbying organisation that received direct government funds to advise on educational policy. I should add that this ‘charity’ refuses to name its other benefactors. I wonder why? Could they include some private sector interests in school networks? And yes, you’ve guessed it, there’s a daddy Wolf. Martin Wolf, the well-connected, right-wing chief economics columnist for the Financial Times. This is an Oxbridge family wildly removed from the real world of vocational employment. It would seem that the fate of millions of young people has been thrown to the Wolves. Alison Wolf confused cause and effect. The real cause of the problem is the league tables. Make rankings your goal and people will find a way of climbing them, even if it to the detriment of the students and the value of qualifications. Academics do it all the time. The so-called Times Universities rankings is only a reflection of successful research applications and says nothing about teaching (the supposed 30% for teaching has no direct measurement of teaching and uses irrelevant proxies). A curious side-effect of this cull is to show that Academies will plummet in the league tables, as last year they had only 7% of students achieve the Ebacc, against 13% for comprehensives. Their own flagships are being thrown to the wolves. The solution was to establish parity or equivalence, not eliminate one side of the equation altogether. If we had taken the advice of Tomlinson all those years ago we would have true parity and not this Middle England, Downton Abbey attitude towards vocational education as ‘trade’, something to be seen as ‘second-best’ even despised as a lower-class pursuit. Sheer snobbery is at the root of this problem. We now find ourselves in the truly absurd position, when the country is facing massive problems with growth and employment, of valuing Latin above ALL vocational qualifications. For me, the defence of Latin as a worthwhile core subject is the touchstone for snobbery and the sheer refusal to accept research findings. I used to think that education was stuck in the 19th century, I never imagined, that a decade into the 21st century, we’d be taking things back to the 1st century BC! To be frank, we’re sitting on a social time bomb and rather than showing leadership, a narrow cabal of academics, journalists and politicians, are shortening the fuse.